Smile Designing is the newest edition in dental sciences. It means making your smile more beautiful and aesthetically pleasing. 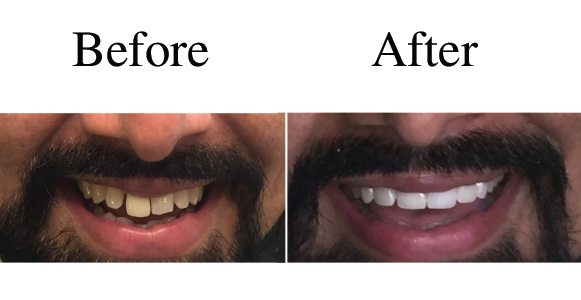 It goes way beyond than just designing your teeth, the objective of a smile design treatment is to create a smile which truly complements the patient's face and personality. The process involves the patients at all levels constantly asking their feedback and informing them about the expected results through photographs and live models. Your new smile will make you more confident both in your personal and professional life. The scope for Smile Design is wide and covers everyone who is looking to improve their smile and overall personality. No one should feel miserable because of an awkward smile which is holding you back from living fully and confidently. Consult our smile experts today to create a personalized treatment for you based on your current situation and requirements. Get that perfect whiter, brighter, and pleasing smile today. We call ourselves smile ambassadors and that's our primary objective: to give you a smile you can be proud about. Our approach goes beyond just giving you a healthy dental treatment. We give you a smile that will make you more confident and help you fully embrace your strengths both in your personal and professional life.